While Hawaii's so far out there, it has its own time zone, there's this other thing: it's Hawaii. That means surf, sand, and overall, one of America's happiest states. And now, there's a huge job opportunity in the Aloha State. According to Hawaii News Now, the Department of Education in Hawaii expects to have around 1,600 vacancies this fall due to an economic boost and the retirement of Baby Boomers. That leaves the door open for Millennials to swoop in and teach among the palms. Annual salaries for teachers range from $35,324 - $63,665, depending on your level of education and experience, as outlined here. In addition, there's a potential $3,000 annual bonus involved if you're working in certain rural areas of the state. To qualify for one of these positions, you need to have completed at minimum a bachelor's degree and a State Approved Teacher Education Program, which you can find more information on here. More specifically, the DoED is looking for teachers in special education, secondary mathematics, and secondary science. The need is so great that the DoED is recruiting in mainland cities like Dallas, Chicago, New York, Newark, Portland, and Los Angeles for teachers willing to relocate. 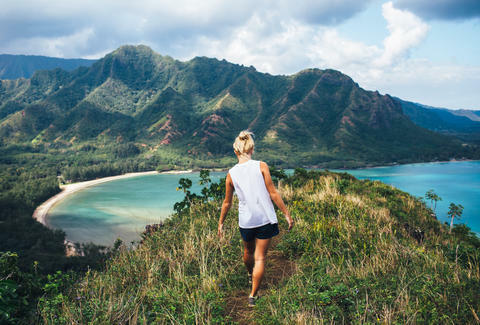 Although it looks and feels like paradise, there are a few notable cons to teaching in Hawaii; the largest being the notoriously high cost of living. Hawaii Now shared the positive experience of Brittney Driggs, however, who's been teaching special education for six years at Mililani High School after relocating from New Jersey. Driggs said many told her she would be a "one-year wonder," meaning she'd give up and move back after a year. Clearly, that was not the case, and after six years she said, "I know the pay isn't as good as the Mainland, but I think it's worth it." If you're interested, check out the DoED website for more information on how to apply, and then figure out how you're getting your surfboard there. Kara King is a News Writer at Thrillist and could use some sun. Send news tips to news@thrillist.com and follow her at @karatillie.